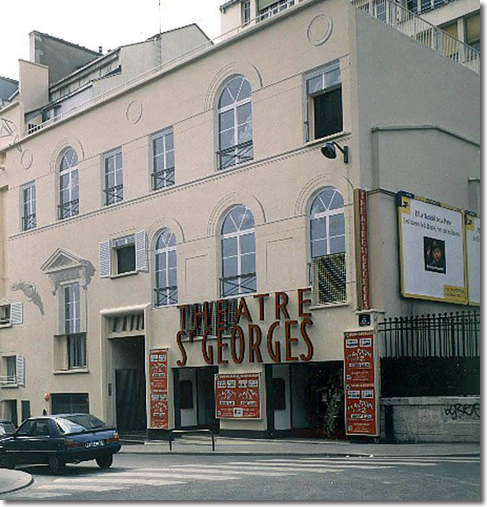 Do you notice anything remarkable about Saint-Georges Theatre shown below? It appears that the side of the building is covered in windows. In reality, most of them were painted onto the building by mural painter Dominique Antony. In fact, all of the upper windows are fake with the exception of the one on the far right. 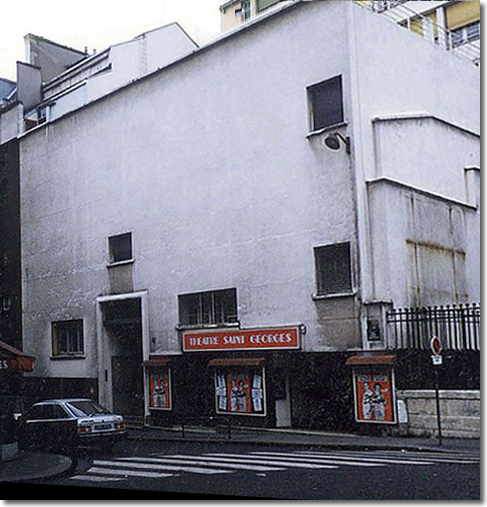 The photograph below shows how the building looked before its trompe l’oeil transformation.